When building certain widgets, notably with the Spreadsheets integration, image widgets or Custom Widgets API, you will need to point these widgets to a link that hosts your data file. If you don't have your own web hosting solution, or if you just need a quick and simple way to host your data — Dropbox is a simple solution! The Custom Widgets API offers the option to POLL a URL for data. To use this method of displaying data, you'll need to format your data as outlined in the developer documentation and save the data as a JSON file. Navigate to Dropbox.com and sign in. Click Upload and select your JSON file. Next, hover your mouse over the file then select Share. Then select Create a link. Head to Geckoboard.com, sign in and navigate to the dashboard you plan to use. You'll see a scrollable list of Integrations, click Custom Widgets. Select your widget type (e.g. Number & Secondary Stat). Set the Method field to POLL. Paste your Dropbox link into the URL data feed field. Make any other modifications necessary and click save widget. To display a QR code on your dashboard using Dropbox to host your file, follow the steps below. Click Upload and select your QR code file. You'll see a scrollable list of Integrations, click QR Code and select the widget type. 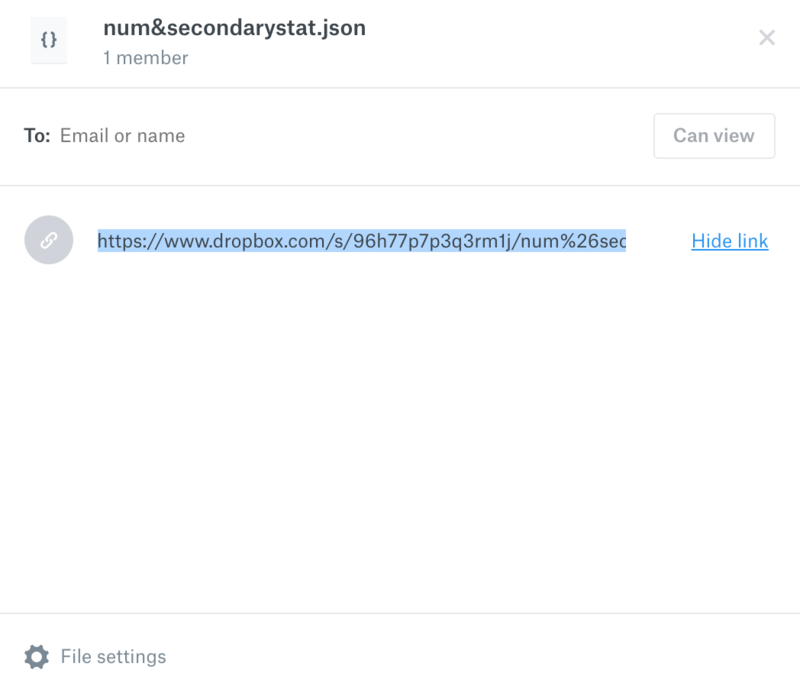 Next paste your Dropbox sharing link in the URL field, then click Save. If you're looking to use other cloud file hosting solutions such as Google Drive, results may vary. Keep in mind that most services though tend to add a redirect or some other obfuscation which will create an error. To connect your Dropbox account directly to Geckoboard and push data from your Excel spreadsheets, please see this guide. 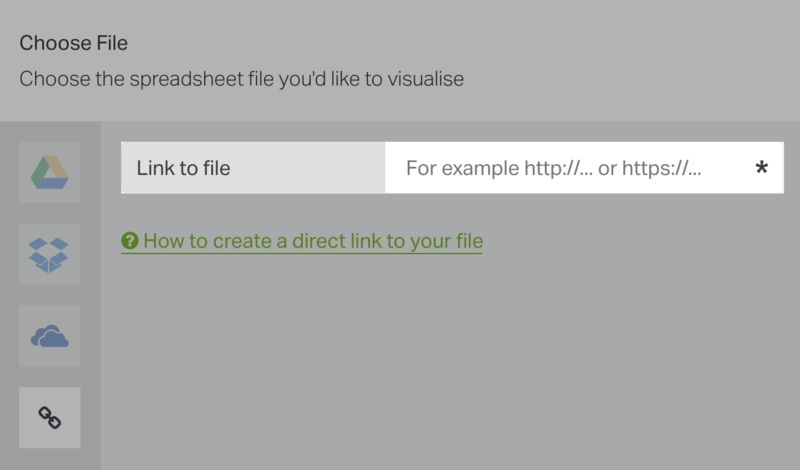 Alternatively, if you only want to share access to a specific spreadsheet in your Dropbox account, you can create a sharing link and specify a direct link to a single spreadsheet rather than connecting your Dropbox account. Click Upload and select your spreadsheet file. You'll see a scrollable list of Integrations, click Spreadsheets. Next, in the Choose File menu, select the  link icon. Then paste your Dropbox sharing link in the Link to File field and click Save.